The tribunal said the doctor was not only “negligent” in treating the patient but had also wrongly billed the victim for the “treatment that was never rendered” and therefore, it amounted to unfair trade practice. New Delhi: The National Consumer Disputes Redressal Commission (NCDRC) has directed a doctor to pay a compensation of Rs 3 lakh to a patient for being negligent in treating him, wrongly billing him for the treatment and causing him “mental agony” and “pain”. 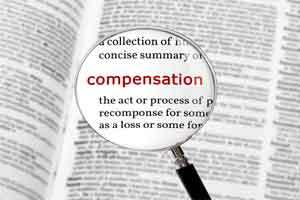 A bench of the apex consumer commission comprising President R K Agrawal and member M Shreesha asked the doctor, Geeta Jindal, to pay the compensation for the medical expenses incurred by the patient and the inflated billing. The New India Insurance Company Limited would be liable to pay the amount as the doctor was covered by an indemnity policy, the bench noted. The tribunal allowed the revision petition of Haryana resident Dinesh Joshi, seeking a review of the state consumer disputes redressal commission’s order dated May 10, 2016, dismissing his complaint, in which he had sought a direction to the doctor to refund the amount charged from him on account of wrong and unnecessary treatment. According to the petition, Joshi had visited Jindal in Panchkula, Haryana on October 4, 2011, as he had severe pain in his buttock. Jindal had given him medicines stating that he was suffering from fissures and that the pain would decrease within two days. However, after two days, Joshi, who was still in severe pain, was rushed to Jindal and was admitted to a hospital, where she charged him Rs 36,450 for the treatment, despite assuring him earlier that the total expenses for his treatment would not exceed Rs 7,000, the petition said. The doctor had charged Joshi Rs 12,500 towards ICU charges, though the latter was never put in one, and the patient was also billed for surgical instruments that were never used on him, it claimed. The tribunal noted that the normal practice in private nursing homes and hospitals was that the management would provide for all the medicines and surgical items likely to be used and the billing would be done subsequently, confined to the items used. A brief perusal of the bill shows that the Complainant was billed for a blade surgical, gloves, micro set and other materials which are admittedly used for surgery. When the patient is not surgically operated, all the aforenoted items are not required. Needless to mention that it is the normal medical practice in private nursing homes and hospitals, that the management of the nursing home/ hospital provide for all the medicines/ surgical items which are likely to be used and the billing is done subsequently confined to the items used. Admittedly, in the present case as the surgery was not performed the medicines/ surgical items which were not used were billed. There is also no evidence on record that the patient was ever put in an ICU. In fact it is the main case of the treating doctor that surgery was not required to be performed and the question of putting the patient in an ICU does not arise therefore, the ICU charges of 12,500/- was wrongly billed we are of the considered view that such a billing amounts to unfair trade practice. “Having regards to the bills, the averments made in the written version, the information procured under RTI and the treatment rendered, we are of the considered view that the treating doctor is not only negligent in the treatment of the patient but has also wrongly billed the complainant with charges for which the treatment was never rendered and therefore, we are of the opinion that this act also amounts to unfair trade practice,” it added. The district and the state consumer forum had ruled out any medical negligence on the doctor’s part but had jointly held the scanning centre that had diagnosed Joshi and the insurance company liable for paying him compensation.